← What is Glamping? Really, it’s quite glamorous! Royal Malewane, a safari lodge located on the Thornybush private game reserve in the Greater Kruger area just north of Sabi Sand, is absolutely one of the best luxury lodges in South Africa. The decor is comfortable, yet elegant; the food is superb; the staff is like an extended family; and the game viewing experience is top notch. The camp owners, a South African family that runs the Royal Portfolio of hotels, pay special attention to every detail and the reward is a flawless safari option. 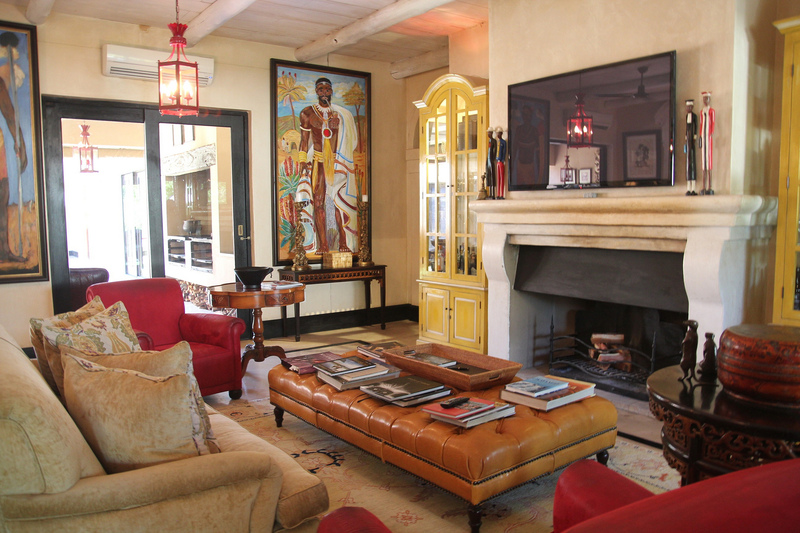 Other properties in the collection are La Residence in Franschhoek, Birkenhead House in Hermanus, and The One Above in Cape Town. Royal Malewane is a true paradise and a destination all on its own. 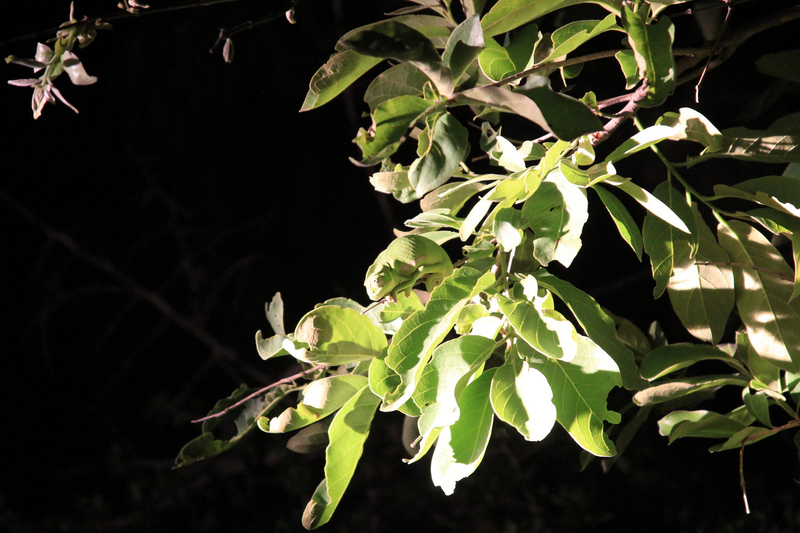 The camp itself is big in style but light on impact to the land. The wildlife roam freely through the camp; I ran into two beautiful Nyala on the boardwalk to my room! The rooms are cozy and comfortable, decorated in the signature Royal Portfolio style, which ensures a flair of personality, a punch of color, the best bath products and a large soaking tub! Most rooms also boast a private plunge pool. The 2-bedroom villas are very large and very private with private safari vehicles and separate game drive access. These villas include a butler, private chef, fully stocked bar and large outdoor dining/living space with pool; It is a perfect option for 2 couples traveling together or for a small family looking for lots of space. Love the colorful decor and the deep soaking tubs! Africa House at Royal Malewane is a 6-bedroom Villa featuring a convenient layout with 2 master bedrooms and 4 rooms that interconnect. A bonus room is perfect for a nanny, pilot, or other personal staff member. The living space includes a full kitchen, indoor and outdoor dining rooms along with a large sitting room with a fireplace. There is an internal courtyard that can be used for personal boma-style dinners or brai, or can serve as a play yard for kids. This option is great if you are traveling as a multi-generational family or if you need extreme privacy and exclusivity. If you are a fan of spa experiences, then this lodge is a must see! The Spa at Royal Malewane is a true oasis built into the bush with a large swimming pool, fully-equipped gym, relaxation cabanas, a smoothie bar, and several open-air treatments rooms surrounded by a Koi pond. 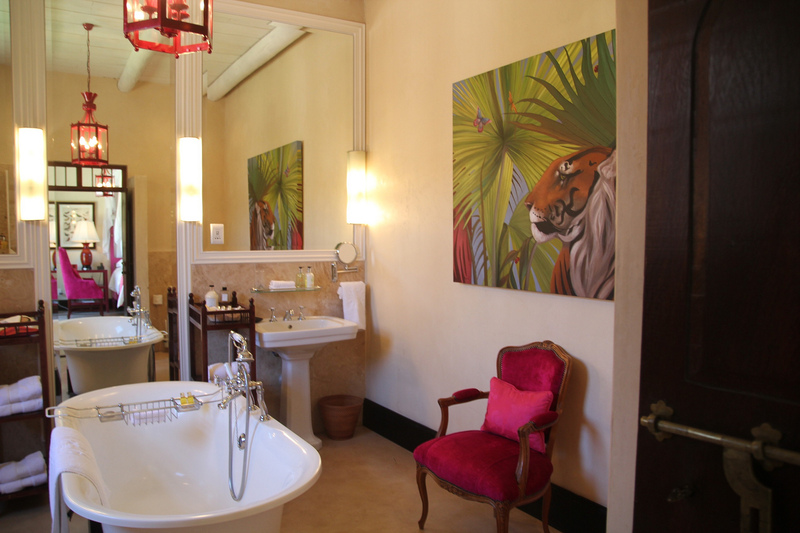 It is definitely the best safari spa in Africa! This family-operated safari lodge is truly all about family. 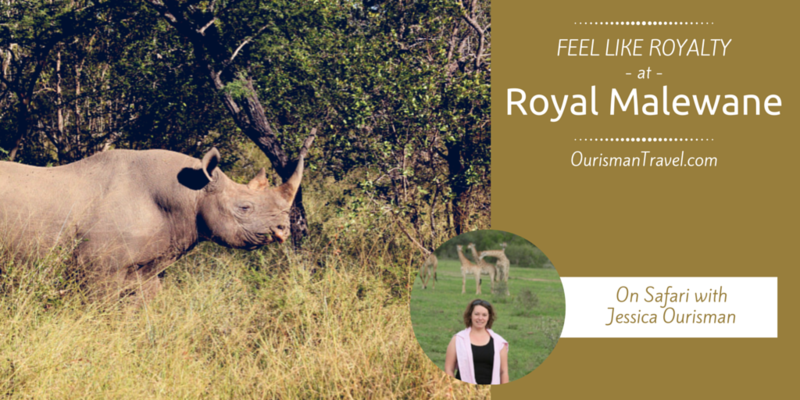 Some of the staff have been with Royal Malewane or the Royal Portfolio from the beginning and you can see their pride and joy in their work in everything they do! The guides that will take you out on game drives are some of the best in the industry and they are full of knowledge along with the talent of storytelling to help you understand the many species that you will be looking at. Some of my best game drives have been here. I didn’t always see exciting animals, but I always enjoyed myself just listening to the guide’s stories. When it comes to dining, service is superb, heartfelt and genuine. Dining here is a gourmet experience and this lodge would please any foodie. The wine list is quite impressive, as well! If you are looking for the best luxury safari experience that South Africa has to offer, then look no further than Royal Malewane! This entry was posted in Africa/Safari and tagged Adventure Travel, Africa/Safari, family destination, South Africa, Virtuoso, wildlife. Bookmark the permalink.